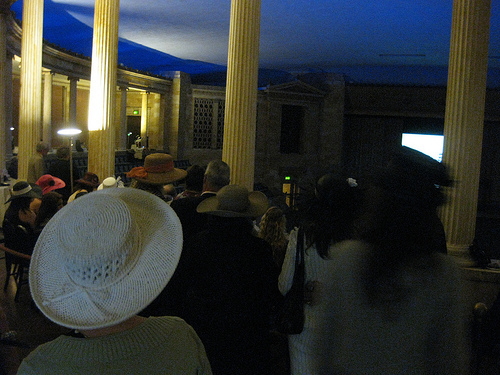 The Toledo Museum of Art hosted a wonderful party in the Peristyle for the Kentucky Derby last week. 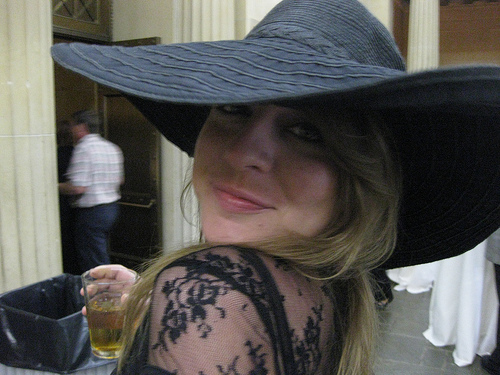 There were several local restaurants donating bites to eat and serving up their own versions of the hot brown while mint julips flowed from every crevice–thanks in part to Woodford Reserve Bourbon. 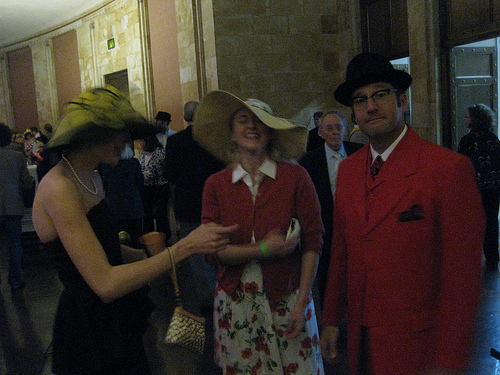 Both women and men were in their Derby Best. 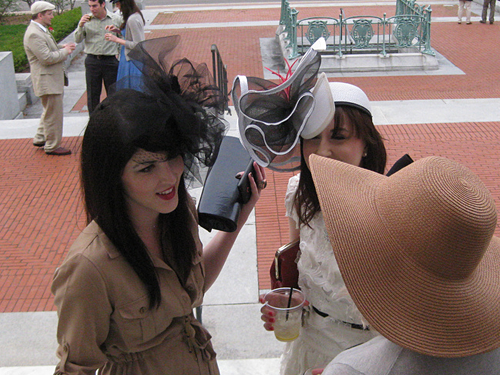 And the hats were breathtaking! 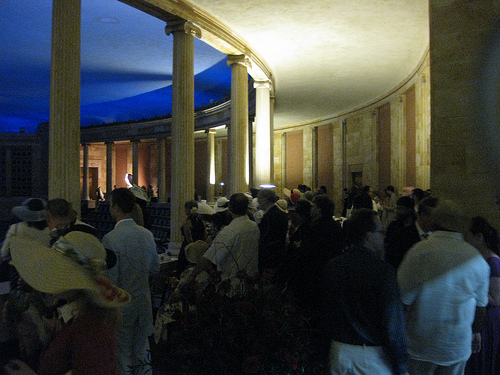 When it was time for the race, a sea of bonnets rushed into the Peristyle. 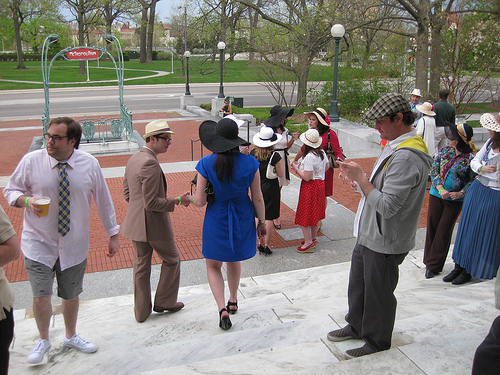 As the party began to end many Derby revellers were found on the front steps of our beautiful museum. 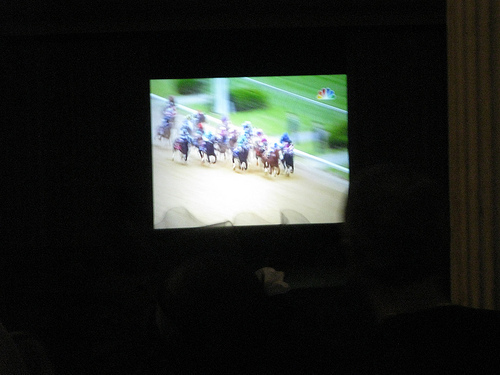 It was a grand to-do… and one I hope happens again next year.